Bossy Italian Wife : Stuff I Use: Sweet Hot Mister Mustard + A Giveaway! 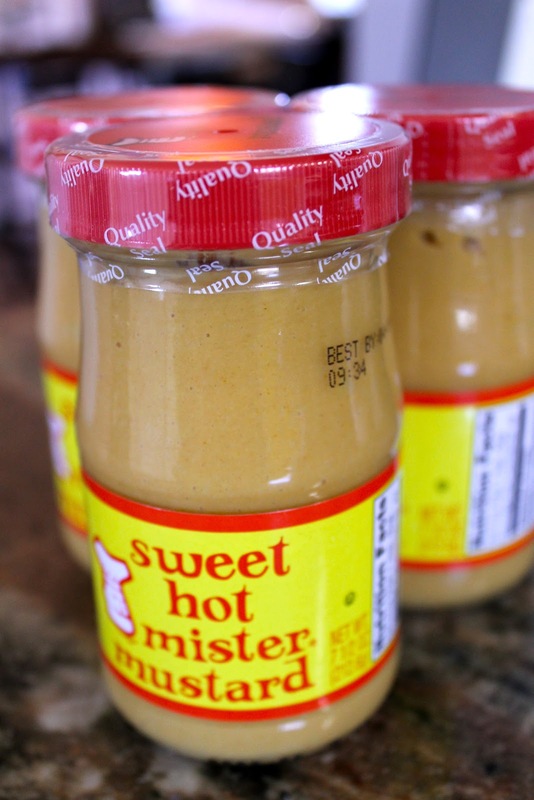 Stuff I Use: Sweet Hot Mister Mustard + A Giveaway! I was strolling the aisles of my grocery one fine day several months ago, when I came across this cute little bottle of mustard. It was on sale, so I bought it and what do you know? It was fabulous! I went back and bought the rest of the jars that were on sale. Fast forward to the recent past and the mustard supply ran dry. I went back to the store and what do you know? NO MUSTARD! The ordering must have been a fluke, and they no longer stocked this fabulous mustard. So, I called the company directly to place my order for this Sweet Hot Mister Mustard. It's tangy and sweet and yummy. I use it in all sorts of ways...from straight up dipping sauce for pretzels to sandwiches and Diane's cold crab dip--this mustard is the best mister mustard you can get! And, it's made in the good USA, which I totally love. While I was at it, I thought to myself: maybe they would give me a couple extra bottles to share with my readers?! Guess what? THEY DID! So, this week I am giving away two of my favorite jars of mustard to two lucky readers! All you have to enter is to fill out the entry form below and tell me what you favorite condiment is in the comments section below. For an extra chance to win, follow my blog by clicking the icon on the right sidebar! EASY RIGHT?! The winner will be announced on Sunday March 10th! So get your entries in! One of my favorite condiments HAS to be steak sauce...I would eat it from the bottle if I didn't feel so guilty about it! Probably pickle relish! I also like mustard. I like hosin sauce on a lot of stuff. mustard powder goes great in mac and cheese, the lecithin helps the milk emulsify with the cheese so it does a double duty. spicy homemade ketchup is good as a dipper, i need to thicken that stuff up so i can put it on burgers.